As part of Neiman Marcus's downright outrageous annual Fantasy Gift Guide, the bespoke trip doctors over at Black Tomato have meticulously designed a luxurious, 30-day adventure across the Indian subcontinent, from India, to Nepal, to Bhutan, to the Maldives, during which you'll spot rare tigers, relax at an award-winning spa on the Himalayan foothills, experience more than one thrilling helicopter ride and so much more. So so much more, in fact, that it's hard to put it all into words. That's why we're breaking it down by the numbers. Sure, there will be words, too. And pictures. But most importantly: numbers. 30: the number of days you're spending on this sojourn, from start to finish. 4: the number of people coming with you. Choose them wisely. 8-15: the number of hours you'll spend on a safari at Ranthambore National Park, which used to be the hunting ground of the Maharajah of Jaipur. 100-140: the beats per minute of your heart once you spot some tigers doing their thing in the wild. 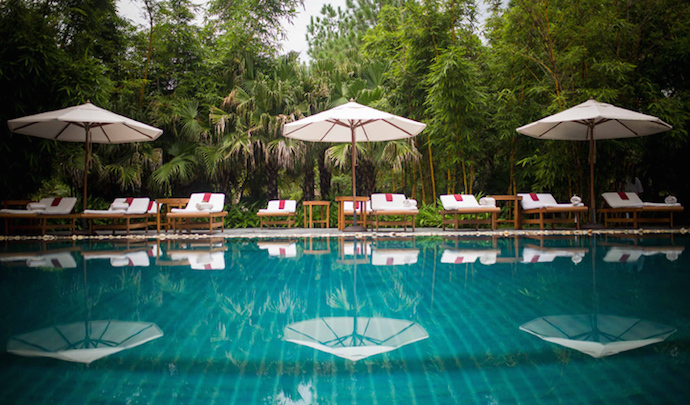 3: the number of days you'll spend relaxing at Ananda (pictured), one of India's finest spa resorts, located on a 100-acre palatial estate overlooking the Ganges river valley. More than 4: the number of monkeys guarding a Hindu temple in Kathmandu, Nepal, you'll befriend. We're using the word "befriend" lightly here. Less than 800: the estimated number of calories you'll consume at a breakfast you'll enjoy at the Mt. Everest Base Camp, having flown their via private helicopter. Our guess being you'll be a little too excited to eat. 300-4,000: the number of dollars you'll fetch for the artwork you create in your Nepalese wellness resort's Painting Atelier. 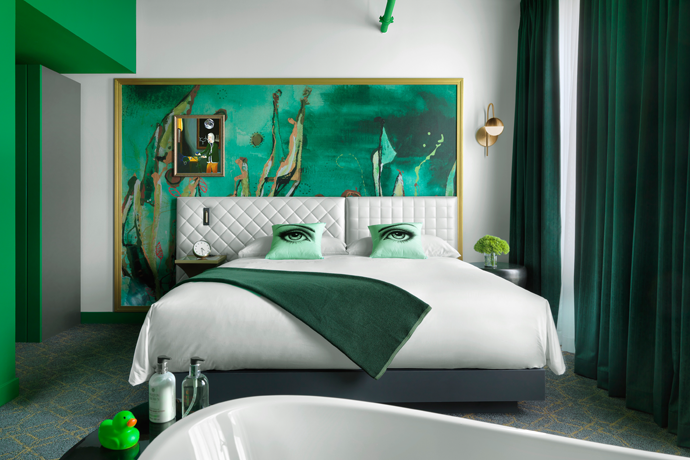 Really, what's a wellness resort without a Painting Atelier? 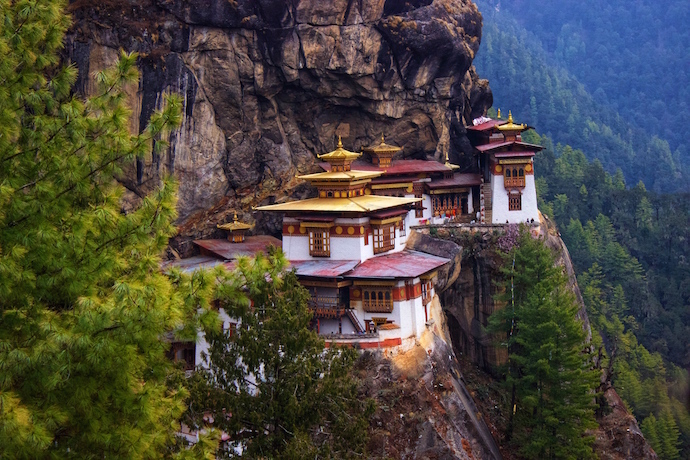 More than 11: the number of friends you'll boast to about having taken one of the most scenic plane rides in the world, from Nepal to Paro, Bhutan, over the peaks of Mt. Everest. 12: the number of suites in the Gangtey Lodge Bhutan, a luxurious, if remote, place where you'll rest your head, positioned near a cluster of bucolic farmhouses. 6: the total number of helicopter rides you'll take throughout this trip. Holy hell. 50:50: the odds you'll "free wheel" down a valley in Bhutan on a mountain bike. 1: the number of archery lessons you'll take from an Olympic archer, following a tour of an historic cliffside monastery (pictured). Random, we know. Also, awesome. 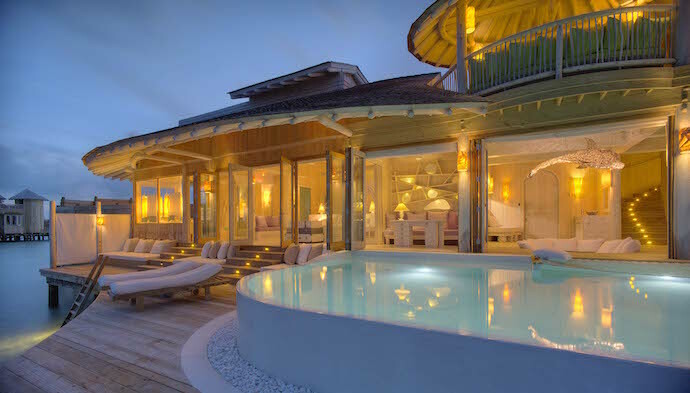 2: the number of nights you'll spend at Soneva Jani (pictured), a private villa perched atop the Indian Ocean, before finally returning home. 630,000: the number of dollars this whole trip costs. But if you're actually up for it, well, you have until January 31, 2019 to book.